We invited you to discover the biodiversity of this area. This is ideal package for Nature lovers. -Arriving to La Fortuna around 12:00pm. -Check inn at the Hotel. 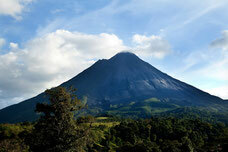 -3:00pm Visit to Arenal Volcano National Park to enjoy the view and nature. -8:30pm Delicious Buffet dinner at Tabacón. -9:30pm Back to the Hotel. Second Day: Safari Float + Hanging Bridges + Hot Springs. 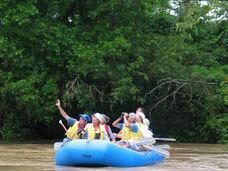 - 7:30 Safari Float at Peñas Blancas River to enjoy the local Flora and Fauna. -12:30pm Tipical Lunch in La Fortuna Town. -2:00pm Hike to the Hanging Bridges. -8:30pm Dinner at Sura´s Restaurant enjoying the view. Third Day: La Fortuna Waterfall. 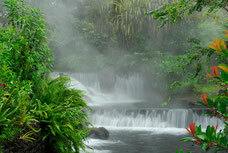 - Visit to La Fortuna Waterfall, walking through Arenal Mundo Aventura Ecological Park. 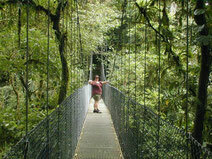 -Leaving La Fortuna to enjoy yor next tourist destination. 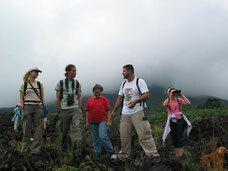 Rate per person for Arenal Vacation Package 3 day 2 night for Nature Lovers.